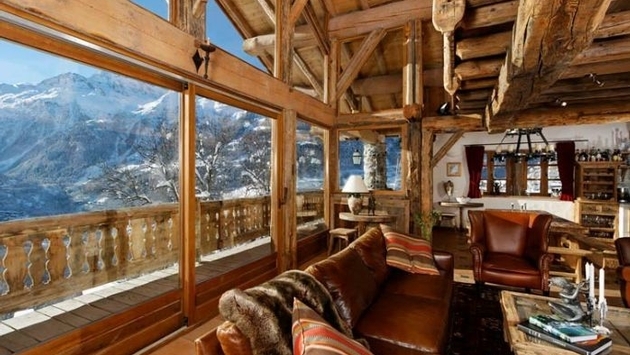 PHOTO: A luxury ski chalet in the French Alps. The all-inclusive concept has been the rage lately with cruises trying the concept and more resorts offering it than ever before. Catered ski chalets have been offering an all-inclusive style of vacation in Europe for years, but the concept has been rarely found here stateside until recently. A catered ski chalet is basically a version of the all-inclusive package, but for skiing. You can have a whole chalet to yourself or book a bedroom in a catered chalet with other guests. If you book the latter, think of this a little more like a house party. If you do book the whole chalet, the experience is obviously a little more private. There is normally a chef and a ski host on site for at least five out of seven days. It varies from company to company, but most seem to include hot breakfast, plus cereals, bagels, toast, fruit platter, beverages; afternoon tea service with small snacks/cakes, a multi-course gourmet dinner with beverage service, mixers for your booze and snacks. You can typically customize your menu and they accommodate both organic choices as well as dietary restrictions. If you would prefer to cook yourself, the chefs will normally grocery shop for you to make sure you have everything you need to make your meal. Most catered chalets in Europe include alcohol or at least beer and wine. Here in the states, alcohol really varies from place to place, but some will include wine with dinner, etc. In addition to the food and beverage, you may receive an airport or day activity transportation, concierge services, daily housekeeping and more. Some chalets even come with a four wheel drive vehicle to use at your discretion. You have to do the comparison to booking everything separately. Look closely at airport transportation because that can cost you a pretty penny depending on the location. Bundle that in for what you would spend for restaurant meals and snacks that you would have to buy, and you are starting to get closer to that all-inclusive price. The biggest benefit is in the time that you gain back. You don’t have to cook, plan travel back and forth to activities, stop off at the store to grocery shop, etc. Not cooking for five nights saves you at least five hours; grocery shopping is an hour; and planning is at least two. Waiting on transportation is probably an hour or two. So basically you are getting back almost a whole day worth of stuff to do. And you didn’t have to pay for an extra night to get everything done. To be honest, you really get what you pay for. Sometimes, the chefs / ski hosts are younger and less experienced. At the more expensive chalets, you will have a certified chef or maybe even the owner of the residence staying with you and offering up their personal recommendations/concierge services. 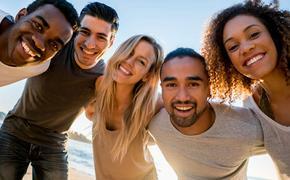 MORE GOOD READS: How Inclusive is All-Inclusive? Verify exactly what is included. If you are renting out a full chalet, ask what private facilities are included. You do not want to be sharing a bathroom, unless of course you are ok with that. This is truly the no brainer of the season. Get the catered chalet and save yourself time. And since time is money, you will be saving some of that, too. Sometimes you have to look past the bottom line to realize the true savings.